Please vote for the genome sequencing of the yellow-legged Asian Hornet, Vespa velutina, We have proposed this as a species in the Wellcome Trust/Sanger Centre’s I’m a Scientist, Get Me Out of Here 25 genomes project. The 25 genomes competition is being run to celebrate the 25th anniversary of the Wellcome Trust Sanger Institute. Twenty species have already been selected. Members of the public, including school children, are voting for the final five species in the competition. 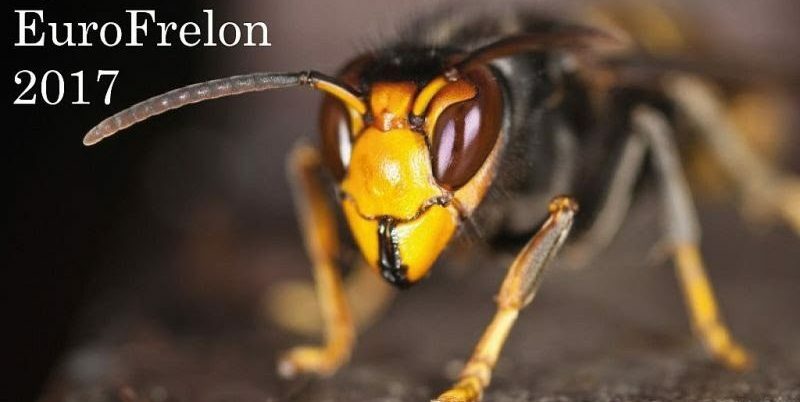 We’re championing the Asian hornet, Vespa velutina, – an invasive species that poses a huge threat to bee populations in the UK and elsewhere in Europe. See http://www.nonnativespecies.org/alerts/ for details. You can help us by voting online now! It only takes a minute! Go to https://25genomes.imascientist.org.uk/. Login with a social media account. We’re in the Dangerous Species Zone! We have a 1 in 7 chance of winning, but we’re up against the likes of Daubenton’s bat and the Leathery sea squirt (which seems remarkably popular with the kids!) – so we need everyone’s vote! More info here on why we need a genome: http://www.sumnerlab.co.uk/im-a-scientist-get-me-out-of-here/ The genome will become publicly available very soon after completion, making it a valuable resource for the pure and applied scientific communities. Although we’re engaging with UK school children as part of this, the real voting power comes from the beekeeping and social insect communities around the world. Please vote, circulate and ask your students, colleagues, friends and family to vote.